In recent months we are seeing a revival of veteran sagas about carrying some time disappeared from the market. To name a few, we have seen the return of Wolfenstein, we are seeing the return of some classic Atari (Alone in the Dark, Asteroids) and soon we will see the Guitar Hero or Tony Hawk's Pro Skater. With DiRT Rally, Codemasters British - study known for its racing games recovers somewhat Colin McRae, who started this saga. And yes, forgive us for redundancy. 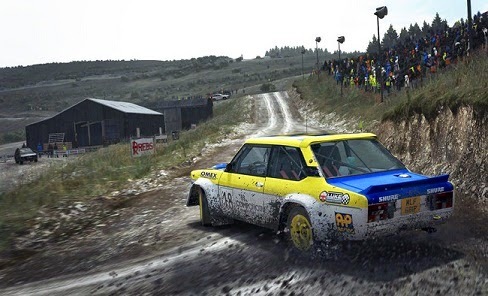 Almost by surprise, Codemasters announced that DiRT Rally was already available in Early Access, the early access program via Steam, and as a result have been enjoying a development version of the game but surprisingly advanced. DiRT Rally is a simulator rallies, which allows us to play timed tests in stages in different environments. As we said, coming from Codemasters and based on a saga that began relying on the name of the late great Colin McRae, remember one of the games of speed more fun gave us at the time of the 32 and 64-bit inevitable. DiRT Rally's rally, no distractions. You have to get from point A to point B in the shortest possible time, without a map, with the indications of our co-driver and that's it. Yes, the previous title is far more serious and complex, probably, we will not deny the possibilities offered by the new systems. Now we have a reasonable number of parameters to modify our vehicle to suit every race, something that certainly we crave necessary as we progress, and can even save a series of adjustments to load quickly. During the first games may seem expendable vehicle to adapt our way of playing and the track conditions, but as mentioned above, when things get serious, it will be a much-needed option. Needless to say, the gameplay falls short of what is expected of Codemasters, as well adjusted and well differentiated between vehicles. It is true that right now we have the feeling that at times the car does not respond as well as they should, especially in wet paths, which seems to be well maintained inertia in some corners. Obviously we are facing a development version, with tens (if not hundreds) of adjustments ahead, and we hope that the British study know the obvious and necessary polishing irregularities of a product in the process of "manufacturing". Today it is not unusual to see games in different early access programs that come to us as if it were a demo. For DiRT Rally it is surprising because although clearly missing contents, everything gives the feeling of being very advanced. The interface is complete, the gameplay is solid, with such adjustments to polish apart, of course, and until we get in perfect Castilian, voices included. In this version we have the "Career" mode, a career mode in which it will be necessary to compete for money to purchase new vehicles and being able to participate in further testing. This mode is quite interesting, as we reward enough not to make mistakes. Turn off the driving aids allow us to get additional "credits" (virtual currency of the game), but restart a stretch or lose make us less money in our pockets. That make each race in this way is very challenging, and we have always alert. This mode also introduces online tests, where we will measure the times of other players in daily, weekly or monthly stages (and other special) proposed by Codemasters. Besides, for fans of online gaming there are also some leagues via the Internet. The "Custom Test" mode, as you suppose, let us participate in any of the available evidence with the conditions we choose. Right now we can visit Greece, Monte Carlo and Wales and each gives us more than ten sections to complete a total of 36- and under different weather conditions. The time of day and weather come together, but we can offer different settings such as "Tomorrow / Clear", "Tomorrow / Rain" "Afternoon / Fog" or "Night / Snow" to give you an idea. The changes are very noticeable, particularly night play is a completely different experience. Regarding vehicles have seventeen, divided into six categories: "1960s", "1970s", "1980s (rear)", "Group B (4x4)", "Group A" and "2010s", which will can provide an idea of its roughly chronological division. As previously we pointed out that his driving is very distinct, and that is very noticeable how we must readjust our way of playing to control each type of vehicle. In the audiovisual, DiRT Rally has also surprised us by being quite finished. The game looks pretty good, and even the optimization seems to be advanced, but still under some configurations, it is not uncommon to see some problems with lighting. These are fairly minor, and as a curiosity we note that similar problems experienced with the latest preview version of GRID, and they were fixed in the final version. In any case, we find a quite correct visual game with good modeling for cars, which also credibly destroy the clashes, including some that work down to another piece. In addition, the scenarios are at a good level, with particle effects, along with distortion and a good draw distance offer pictures of the most interesting. Furthermore, we see some subtle kind that we like a lot, like distorted reflections in broken glass details. A small full stop also for audio, something many games neglected, and DiRT Rally comes with confidence. We said earlier that this title does not have map, so our passenger will be practically our eyes on the track. Its indications are in perfect Castilian, and if we want, we can also activate a visual aid for his notes on the screen. That makes it, or we learn the layout of memory (which will end up doing), or pay the utmost attention to the signs of our colleague. Many players demanded a DiRT come back to the earliest origins of the saga, and it seems that it has finally arrived. Codemasters has been removed from the sleeve a comprehensive, fun and challenging game, and besides, we repeat, very We forward to what we could expect after the immediacy of your ad and start Steam. Missing content, but with several game modes, seventeen cars and 36 paths, is certainly an example of Early Access done well. The return of "Colin McRae" could not have better pint.